I'm back with another video! I'm on a goal to upload at least two videos a week, and 3 blog posts a week to get back into a routine. I hope to be back at 5 blog posts a week once I get a good amount of material reviewed and pictures taken and all that jazz. I thought this fitness update would be a great video for early 2016 to motivate myself and some of you to continue to live healthy lifestyles. I update you on weight gain and my plans to get to my goal weight. I also include some product reviews including neoprene waist trainers and compression workout clothes and tell you whether or not they really work. Check it out! So I got to my lowest weight which was 140.6 right after my wedding reception in Atlanta on December 6th. Since then, I've gained some weight following my honeymoon, Christmas holidays and a trip to LA. Sheesh! I'm currently around 148 but i've been working my but off and trying to watch what I eat to make sure I get back to where I was and eventually I hope to get down to the 130s by 2017. In the meantime, I want to share a review of some items I personally researched - neoprene workout gear. Specifically, waist trainers and compression shorts. I found them helpful to support my jiggle when I work out so that I can jump around without any pain. They also do aid in helping you sweat more. I don't believe they help you lose pounds, but I can see it helping you lose water bloat. I definitely recommend this. The material feels nice and sturdy and it gives me the support I need to jump around during cardio sessions. They sell some cheaper alternatives at Ross, TJ Maxx and other discount stores but I don't think the material is as nice, but it's a good intro trainer belt to start with. One of the brands I like. These shorts really make your thighs and booty sweat! Another brand I like. I have two pairs so that I can rotate them out as I let one dry because yes they do get soaked after a workout. To wash them, simply hand wash and soak in detergent and water and lay out to dry. You place this under your compression belt/clothing. It heats our body up and makes you sweat even more. It's not a necessary thing as the neoprene gear already makes you sweat, but this dials it up a notch. This is the cheaper alternative to the Sweet Sweat workout enhancer. 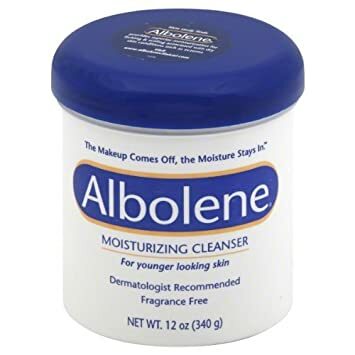 It's actuallly an old school makeup remover, but it's pretty much the same thing. People have been using this to aid them during workout for decades. This is available in the skincare section at your local drugstore. Hope that this post was helpful! If you have any specific suggestions for specific fitness series videos, let me know in the comments below!